Paul Ellis: As a nation, where do we currently stand in grand strategic terms? Mark Mykleby: In the context of grand strategy, we’re currently looking in the rearview mirror. 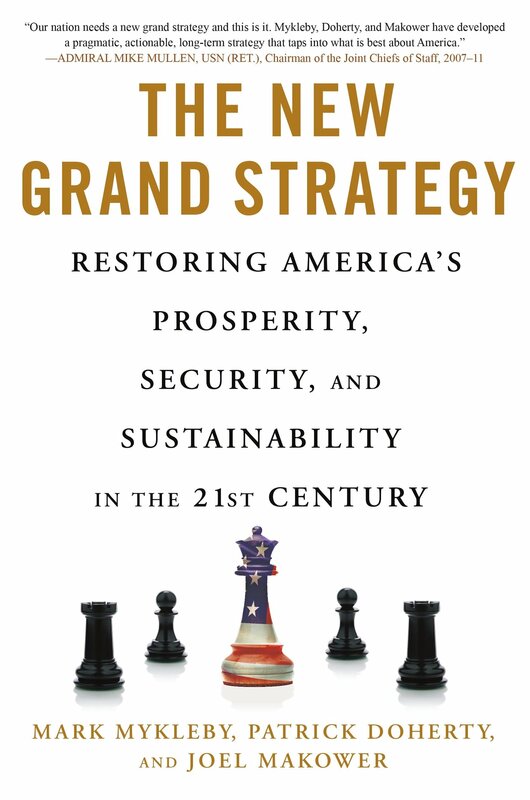 The old grand strategy was based on suburban expansion at home and containment abroad—our post-WW II view of the world. That strategy was so successful, for so long, that we now think of prosperity and security, two of our enduring national interests, as separate issues, unrelated enterprises. Worse, since 9/11, we have allowed threat and risk to become the drivers of our existence. The resulting risk embedded in trying to maintain the economic status quo is enormous. We are, in effect, expending our prosperity in pursuit of security that is mostly defined by our 20th century past, not our 21st century reality. In contrast, we see the raw ingredients for a powerful new strategy just waiting for public or private leadership. The demand is there, the capital is there, all at a time when investors are looking for new investment hypotheses for America and the world. Continue reading in Financial Advisor.